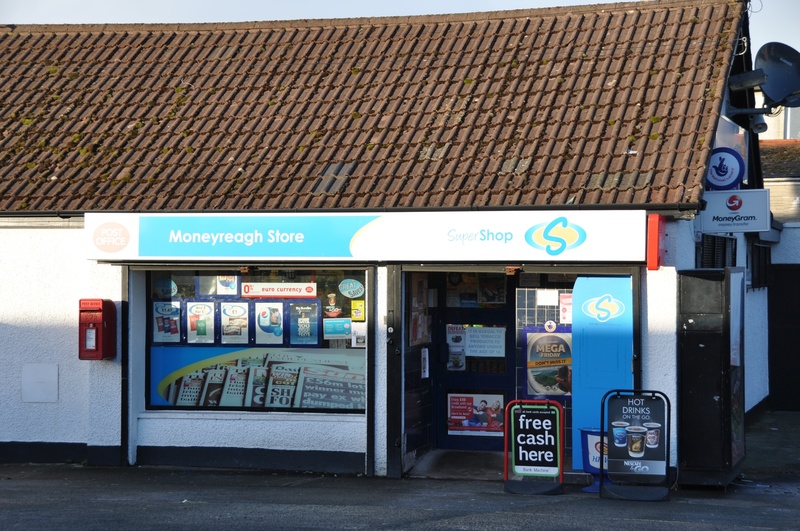 This is Moneyreagh. It’s a village and a townland in County Down. The name probably derives from the Irish “Mónaidh Riabhach” meaning “grey bog or moor” (according to the PLACENAMESNI website). There is still plenty of grey around, in the churchyard and old school building, but there is also a thriving community. 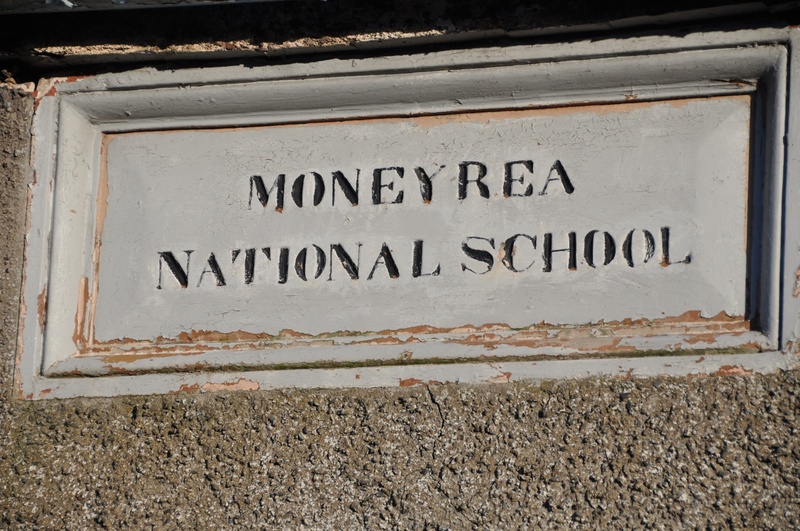 You’d think by now the village would have settled on one spelling of the name, but no, they still have “Moneyrea Primary School” and “Moneyreagh Store”. 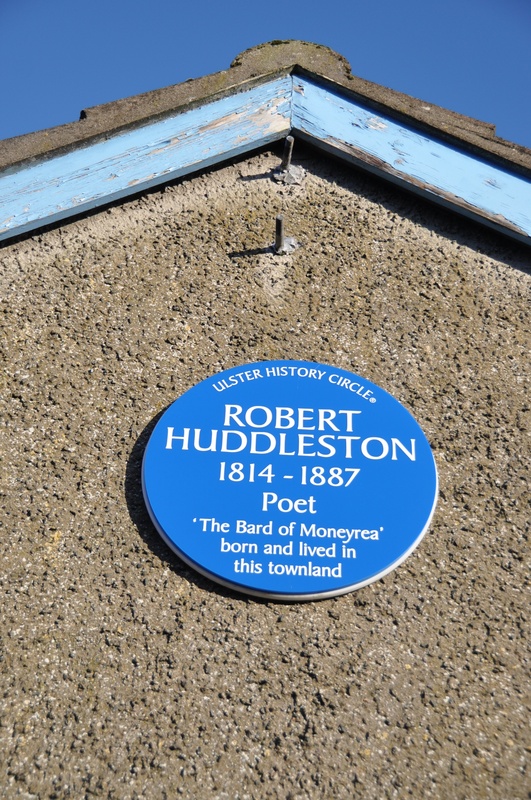 In April 2014 a plaque was unveiled to celebrate the 200th anniversary of the birth of a local poet, Robert Huddleston. Click here for a report of the unveiling of the plaque. Here are some lines from Robert Huddleston, from a long Ulster-Scots poem called “Doddery Willowaim”, appropriate to the current wintry weather in Northern Ireland. So… what does ‘crabbit’, ‘doncy’ and ‘wreaselin’ mean?? Not a clue! OK That’s not entirely true. The poem is written in Ulster-Scots, which is, depending on who you ask, a dialect of English spoken in Scotland and Northern Ireland, or a separate language. I understand some of the words – “caul” for “cold” for example, and “crabbit” for “miserable”. But “doncy” is a mystery to me. When I tried googling it, I just got results about donkeys. Cranreuch is some kind of frost, I think. There will be more about languages on this blog as time goes on, as long as I can avoid the politics that beset the promotion of both Irish and Ulster Scots here in Northern Ireland. Thank you–this is great! I love the image of the churchyard. Is the name pronounced “money-ray”? 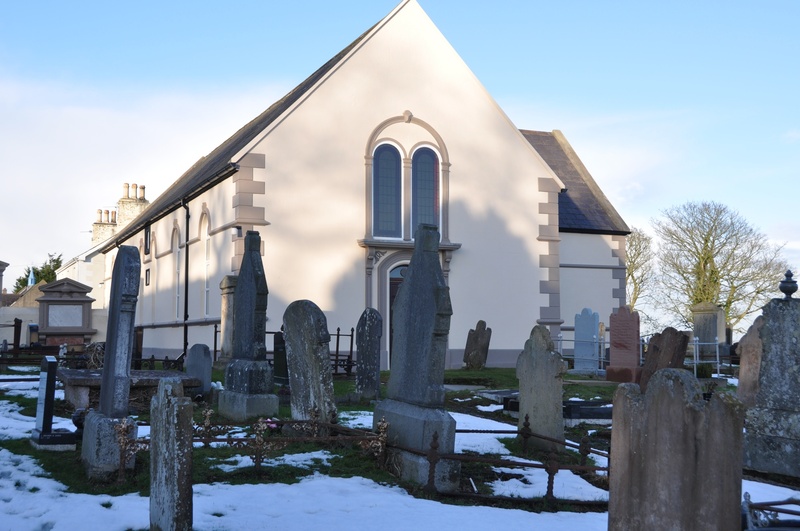 You are now well-equipped to pronounce some other townlands which will appear on the blog later this year – Castlereagh and Carrowreagh and, with a small logical leap, Killyleagh. DONSIE, DONSY, adj. Also doncie, -(e)y, dauncey.